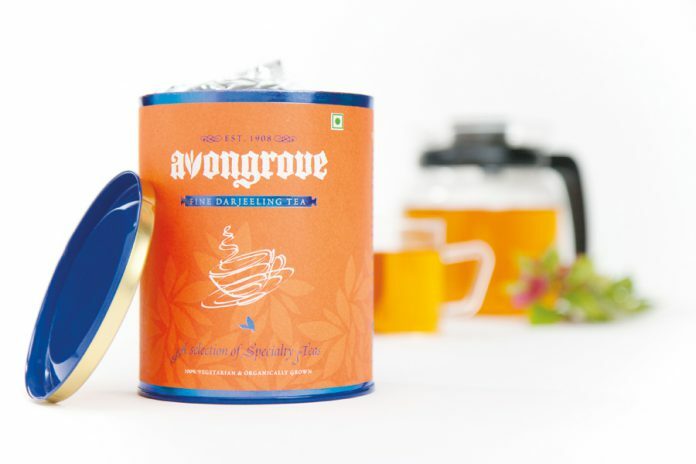 Avongrove, one of Darjeeling’s oldest tea estates, manufactures the finest long-leaf high grown black tea. Now, under new management, it lacked an identity which became necessary to sell packaged high-end tea under its own name. The brand is imagined as a stylish, modern brand with a century-old heritage behind it. The wordmark is executed in a medieval Gothic style, appropriate to a 19th century tea estate. The ‘two leaves and a bud’ are embedded in the ‘v’. The identity is, thus, placed in a ground whose colours and design approach are decidedly modern. The paper box differentiates it from the ersatz gift packs that single-origin, handcrafted teas use. To give the pack the necessary high-end look, the final solution was printed on a special paper with special effects and foil stamping.